Look out Pocatello, Idaho: There’s a new broadcast TV duopoly in town. According to TV News Check, the broadcast station KIFI – the market leader in Idaho Falls-Pocatello – will soon take control of ad sales and operations of its former competitor, KIDK. The agreement will cost nearly thirty people their jobs and residents will lose access to diverse, competitive news. The jointly run stations will only face news competition from one other station, the local NBC affiliate. What’s even more troubling about this venture? KIDK is skirting Federal Communications Commission ownership rules by not transferring its license to KIFI, and instead entering into a “shared services agreement,” which allows KIFI to control virtually all aspects of KIDK’s operations, from ad sales to news programming. The result of this agreement – consolidated newsrooms producing less news with fewer journalists – appears a lot like media consolidation. The official announcement asserts that “entering into the shared-services agreement with KIFI will enable KIDK to become a stronger and more competitive station,” but a KIDK employee told reporters that KIFI will produce KIDK-branded newscasts, that there will be fewer of them, and they will be timed so that they don’t compete with news programs on KIFI. And as for the 27 employees who are out of a job, their departure heralds the degradation of editorial independence and journalistic innovation. The job cuts include KIDK’s general manager and news director. The news-slashing arrangement in Idaho is just one of dozens of similar deals affecting communities across the country. Other agreements have resulted in less local news programming in Denver, San Antonio, Hartford, and Asheville, to name a few. In November, we wrote about the scarcity of election coverage in Honolulu http://www.savethenews.org/blog/10/11/08/different-channels-same-electio..., where Raycom Media controls three stations, and offers only a single, simulcast newscast. In Honolulu, a local organization is formally challenging the agreement at the FCC. The FCC has been sitting on the complaint for over a year, but needs to take swift action. Current FCC rules don’t do enough to protect against this covert consolidation. In fact, stations aren’t even required to disclose these agreements to the public or file them at the FCC. The lack of transparency makes it impossible for the FCC to know which communities are affected and whether the agreements violate existing rules. 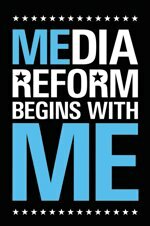 The FCC should require media companies to disclose news sharing agreements, and should create standards and guidelines for these agreements to ensure that the public is protected from covert consolidation. Competition and diversity on the airwaves is key to a healthy media system. We can’t afford to let media companies use hidden business deals to consolidate local media markets under our noses.